Nice, thanks for helping guys! Apply face to palm ...., I must have read it completely wrong. Oh, can I mount it directly on the backside...interesting! Can a RFM69HW module communicate with a RFM69HCW ? I just got my sensebender gateway, added the w5100 module and was about to add a RFM69HCW module but I got confused by the pinout on the Mysx 2.6. By reading the mysx docs I assumed Pin1 was the "square one", but according to the docs it's 3.3V but I measured 5V between Pin1 and 4...?? 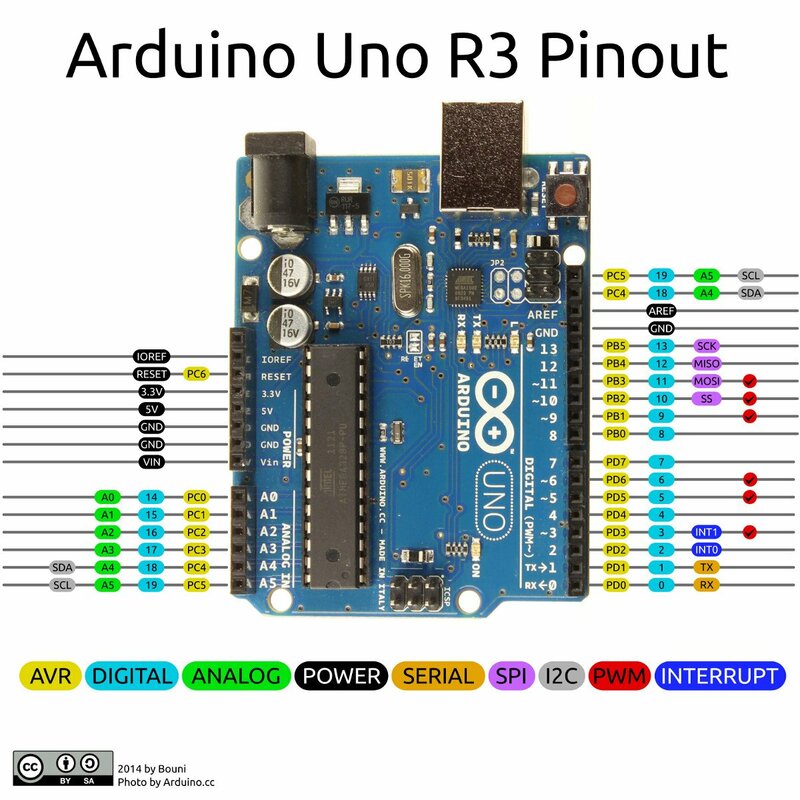 Are there any "simple" pinout images of the mysx/Sensebender like there's for Arduino's? Thanks for making this binding! One question, is there a specific reason motion (tripped) sensors have to be Contact items? In OH2 all the Z-wave motion sensors are Switches (AFAIK) so it would be nice if the mysensor PIR's could also be Switches so I can just add these to my existing motion sensor groups and rules. RE: Anyone got a few 47uf 0805 capacitors to sell (in Sweden)? I finally figured it out, after some forum digging. Check https://forum.mysensors.org/topic/5806/solved-adafruit-rfm69hcw-breakout-doesnt-respond. @fcflopes did you ever figure this one out? I'm having the same problem on an UNO. I'm using a RFM69HCW from Adafruit, which works fine with the Radiohead/Adafruit test lib but I only get TSP FAIL when using a mysensor serial GW sketch. RE: RFM69 Supported on RPi Serial gateway?